Hello and welcome back to my blog! 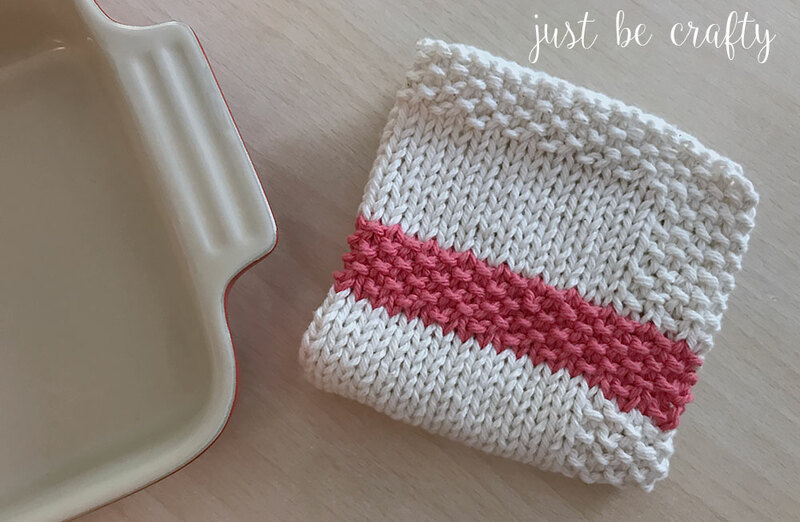 Today I am sharing the Seed Stitch Stripe Dishcloth Pattern. It’s been a while since I have shared a knitting pattern, so I thought it would be fun to make a new dishcloth! 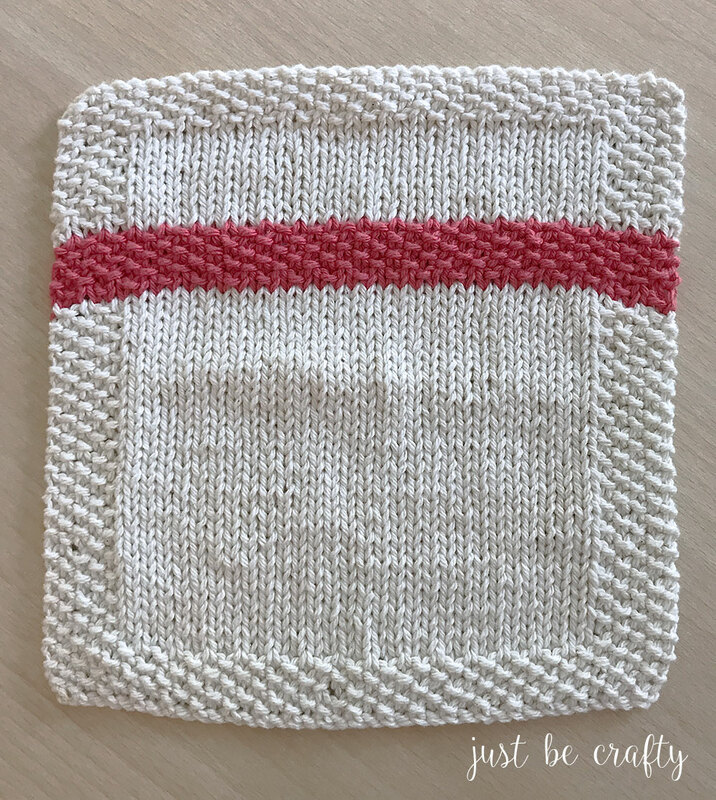 This pattern is a fresh and updated take on my original Seed Stitch Dishcloth – if you haven’t tried this pattern yet be sure to check it out! 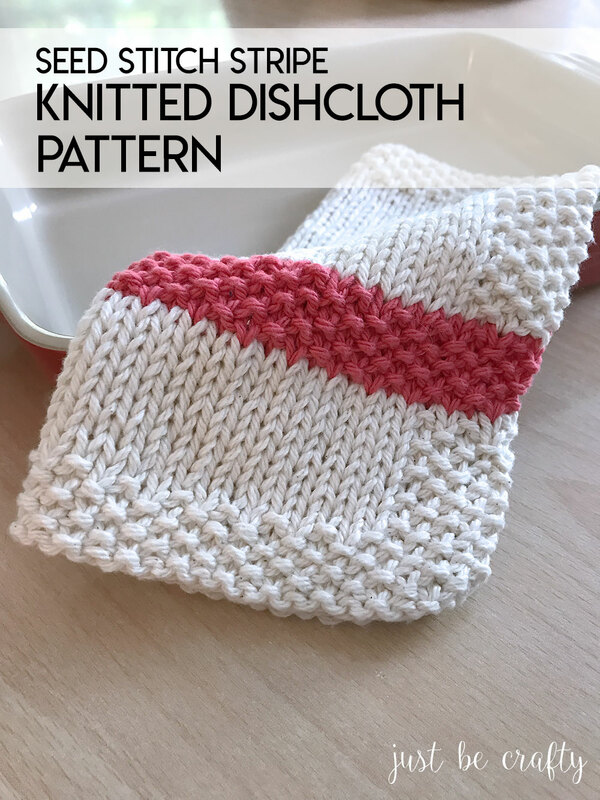 This dishcloth works up fairly quickly and is beginner friendly – if you know how to complete the knit and purl stitch, you will be all set! So… without further ado, lets get started! Cut yarn, attach contrast color. Do you plan to give this pattern a try?! Let me know in the comments below! So cute. I have made so many of an old style and get tired of it. Want to try these. Love more modern look of them. Thanks Marla! I hope you enjoy the pattern! I have not done a lot of knitting in my years! I am a crocheter! But a friend is making washclothes for the homeless that go to certain places to wash, so I said that I should try making one! Well, needless to say I have been working on it for a couple of weeks! Don’t laugh please!!! I asked my friend how many she’s made since I started mine. About 12! 12 to my 1!! I felt like crawling under my stool!! Anyway once I finish-yes I have not finished yet! But I will give your’s a try. Maybe it will go faster!! I am new at knitting, I have taught myself but haven’t attempted to actually make anything…I am going to attempt to make these dishcloths….they are really cute…nice Christmas gifts. Hi Donna! In the pattern, repeat 1x means to repeat one time. Happy knitting! On rows 23 through 52? It says repeat rows 21 and 22, 15x has me confused. How many rows would that be? Question: is there a way to make this same pattern but scale it down by about half? Arthritis in my moms hands, so it is hard for her to squeeze water out of large clothes. Thought I could make it smaller for her small hands. Just finished in red and green for Christmas. Turned out beautiful. Fun easy knit. Thank you for pattern. Very excited to give this a try. I haven’t knitted in years, but my husband just found all of my needles and some yard I had stored in a bag. I got it out and started refreshing my memory and my 8 year old has taken an interest…I haven’t knitted since she was born. Perfect project for me to remember on and her to learn on that she can use when finished and have that feeling of accomplishment we all get when a project is finished and put to use. But on such a small scale her attention will not wear out before the end of the project. Thank you for this! Hi Myles! I do not have a tutorial for this yet, but that is a good idea! 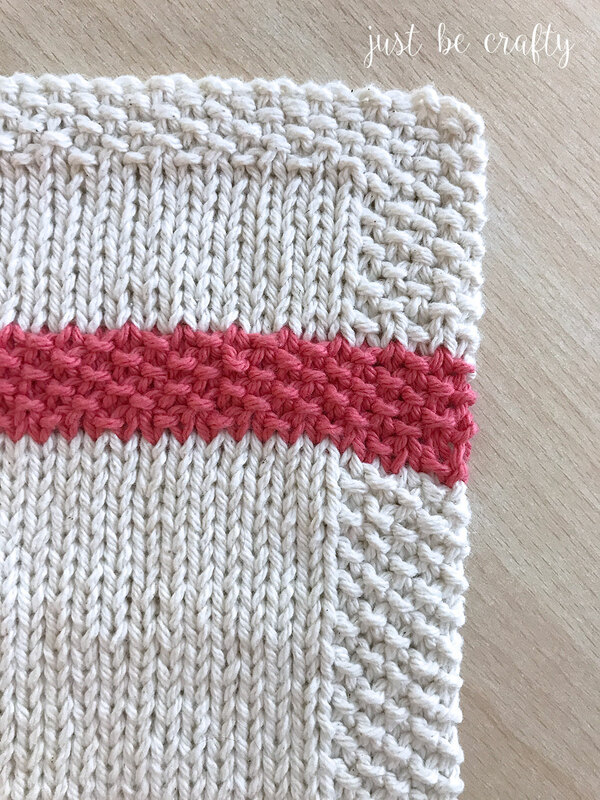 In the meantime, my suggestion is to make sure that if you are weaving in the contrasting color – be sure to weave those ends in the contrasting color stripe and vice versa for the main color. Like colors ends should be weaved into the like color part of your piece. I have been knitting for 40 yrs & had never seen : “repeat 1 x ” before. I assume it means Repeat the K1, P1 ? if so , why not just write K1 P1 X2.